Personally I love airports, I know its weird but true. But you either love or hate flying but often its a necessity. 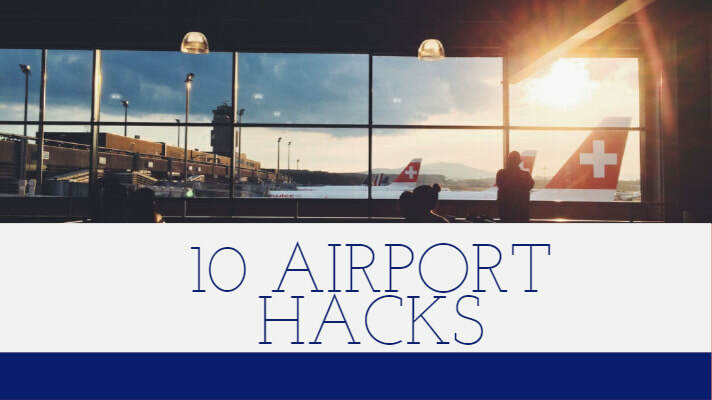 Here are 10 Airport Hacks that will hopefully make your next trip easier. ​Take a picture of your car in the parking lot so you don’t forget where you parked. ​Wear loos fitting shoes. You have to remove your shoes at security so wearing flip flops or something you can easily slip off and on will save you time and hassle. Now you have to remove any electronic item the same size or larger than a cell phone from your bag. Have these handy and if possible ready to go by the time you reach the scanner. If everyone does this, it will speed up your time getting through security. ​As with anything, if you cut it too close, something is bound to go wrong. For domestic flights, arrive around an hour and half early and for international, two hours early. This should allow you time to check your bags, get through security and find your gate. ​Take an empty water bottle with you when you fly. Once you are beyond security, you can fill it up at the water fountain and avoid paying a fortune for water. ​If you find your self on a long layover, find an empty gate where there is lots of seating This will allow you to avoid the crowds. During your flight, there are always items you want to have. Unfortunately,, they are often in your bag in the overhead. Pack items like, ear buds, a book and a snack in a small bag you can easily pull out before stowing your carry on. I know I and many others like to listen to music, podcast or books while waiting on our flight. Set an alarm on your phone for every so often so you can take off the headphones and check for changes. There are times where a gate might be changed and you might not hear the announcement. This goes for a long delay at the airport or a long flight. Of course, if you are on the flight, pay attention to the fasten seatbelt signs. Moving around helps with circulation and can also break up the monotony of a long wait. You never know what you might find in an airport. I was stuck in BWI several years ago and found a mini Smithsonian. This is very important. Remember, you and others are trying to get home, on vacation or maybe to family so be patient. Be respectful to crew and staff of the airline. They are doing a job just like you at home so treat them as you would want customers to treat you. Be sure to check out the TSA Website for rules when flying. If you have your own hacks, please feel free to share in the comments. Some love packing and some hate it, either way, you are always looking for ways to make it easier. 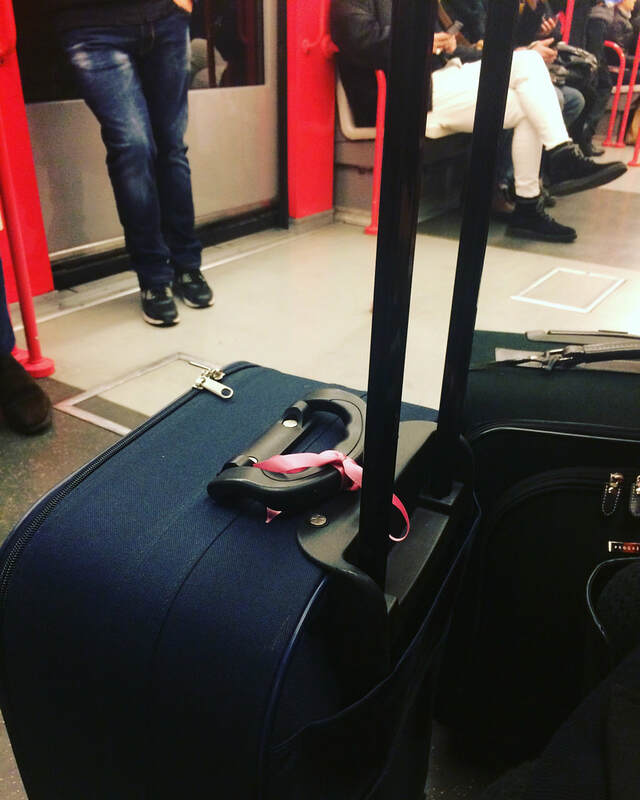 Here are my top 5 tips that I use my self to take the stress out of packing. Make a list of items you need and if you have a place, set them out all in one area. Then as you go through the week, you can determine if you really need it. By the time you are ready to load the suitcase, it should be quick and easy. Things like socks, underwear and other small items can go in shoes. Its empty space otherwise. Rolling your t-shirts takes up much room and most of the time a good shake will take any wrinkles out. This is something that has happened to me. For bottles of shampoo, sunscreen or other items that could be messy, use this method. Remove the lid and place a piece of saran wrap or foil over the opening and then replace the lid. If you want extra protection, place the bottles in zip lock bags. This way if anything does spill, it will be contained in the bag. You should always pack in your carry on medication, bathroom essentials, at least a shirt and any valuables like electronics. And remember the TSA 3-1-1 Rule. Now these rules only apply to you when you fly, its not required when boarding a cruise ship. I hope these were helpful tips for packing. One last tip though, check out these packing cubes for your next trip. I have used them for multiple cruises and love them. Makes packing more organized and to me easier to unpack when you get to your destination. 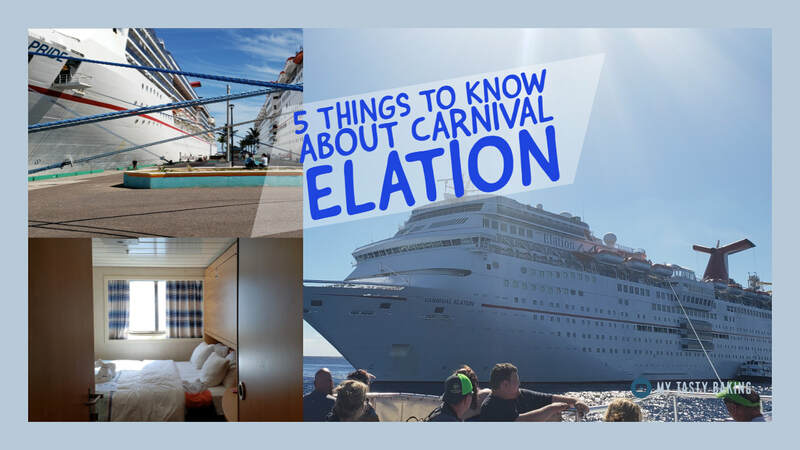 ​Everyone has their own favorite cabin but probably the most popular is a balcony stateroom. Having a private balcony is my favorite way to cruise and its difficult when I sail in anything else. 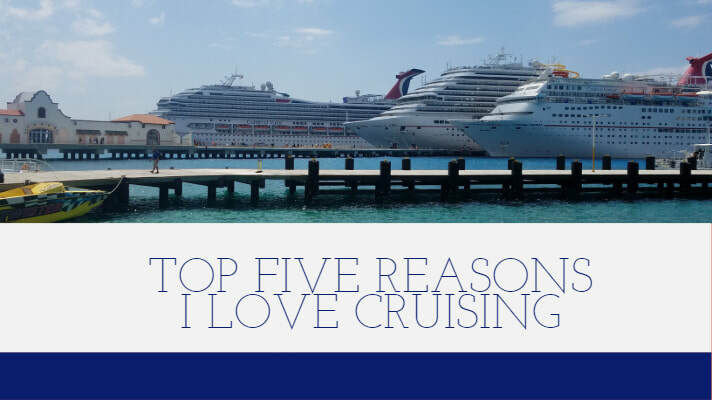 These are my five reasons to book a balcony on your next cruise. ​Mornings are awesome with a balcony. You can wake up and walk just a few steps and have an ocean view the smell and feel of the ocean air. I love having coffee delivered to my cabin in the morning and having a cup on my balcony. Space. Although most balcony cabins are not bigger in square footage than an ocean view, the feel is bigger because the balcony opens up the space. ​Sail away. Most cruisers have a place on the ship where they like to enjoy sail away. With a balcony, you can sit in piece and watch as you head out to sea. Privacy. If you are like me, there are times when on a cruise you want to get away from people and just enjoy some privacy. With your private balcony, you can hang out and enjoy a beverage. ​View. Whether you are in the Caribbean, Alaska or Europe, you will get a view that is Instagram worthy from your balcony. Just remember, if you are in port, you might have a ship next to you when you pull open those curtains. 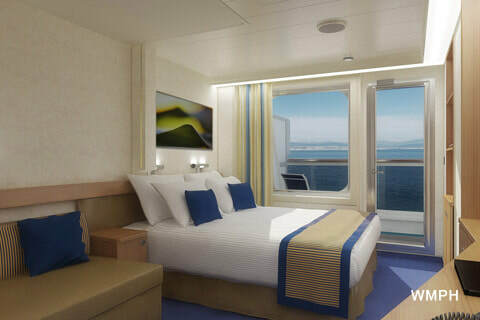 Be sure to check out my blog on choosing a stateroom. And if you need assistance with any of your cruise plans, contact me at mike@freedomtoroamtravel.com or the phone number below. ​Over the next few weeks I am going to feature ships I have sailed on over the past couple of years. Including the stats about the ship, features, what I liked and disliked and the itineraries it currently or will sail. So lets get started with the Carnival Liberty which I have sailed on twice. The Liberty is a Conquest class ship, coming in at 110,000 gross tons, holding almost 3000 passengers based on double occupancy and has 14 decks. The Carnival Liberty sails 3 and 4 Night Bahamas cruises from Port Canaveral as far as I have seen will continue this into the future. The 3 Night itineraries are a visit to Nassau and a day at sea. The 4 Night can vary with stops in Nassau and Freeport and a day at sea or Nassau and Princess Cay and a day at sea. Currently the 3 nights leave on Thursday and the 4 night leave on Sunday but this will change in May when the departures change to Friday for 3 night and Monday for 4 night. ​Dining i plentiful on the Liberty with Guys Burger Joint and Blue Iguna Cantina located on Lido deck. Also on Lido is the Lido Market Place Buffet where you will also find the deli. A little secret about the Lido Marketplace, if you go one deck up above the marketplace, you will find the barbeque place and extra seating. In the aft of the ship on Lido is Seafood Shack which is al a carte but great prices and the 24 Hour Pizza Pirate. Located on the Panorama Deck you will find Diamonds Steakhouse. The steakhouse does have a per person charge but well worth the extra. And of course for your more formal dining, this ship has 2 dining room both located on deck 3. Traditional late and early seating plus My Time Dining. ​There is so much open deck space on this ship and some of it is for adults only. The Serenity Deck located in the front of the ship split between decks 12 and 14 (no 13). Here you will find comfortable lounges, hammocks, clam shells and sofas to bask in the sun or enjoy the shade. There are also 2 hot tubs with a view of the front of the ship. And if you need a drink, there is a full service bar located on deck 12 of the Serenity Area. This area is 21 and up. There are three pools on the Liberty all located on Lido Deck. There is a small pool, primarily for kids under the slide, a larger pool in the center of the ship and an aft pool in the back of the ship. The aft pool does have a retractable roof which makes it nice when maybe the weather is not cooperating. This pool is for the most part adults only as well. Located near the main pool on lido are two hot tubs and at the aft pool, there are two hot tubs. Throughout decks 9 and up you will find lounging areas with plenty of chairs. 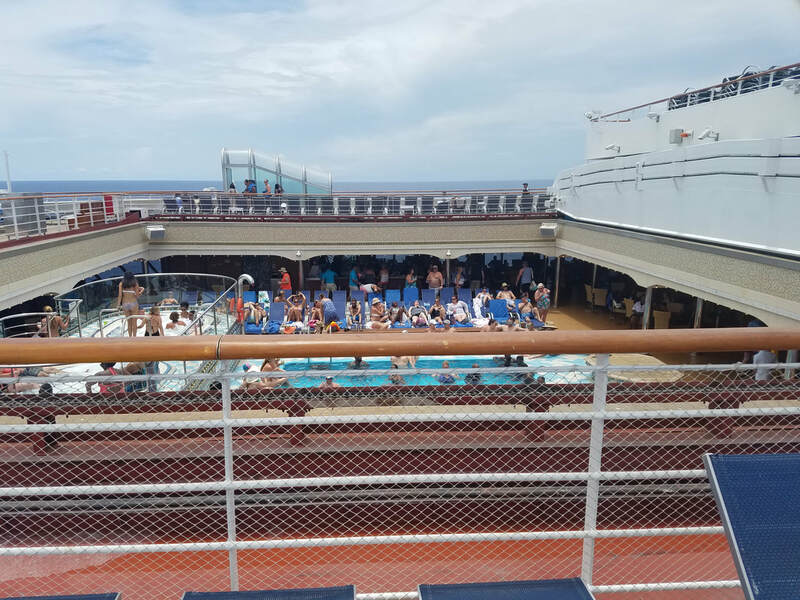 The Lido deck near the main pool is tiered like a stadium. Now one of the places passengers like to seek out are the secret decks. There are secret decks and I will only give you a hint on where they are. Passenger coridors will take you there and its forward. Email mike@freedomtoroamtravel.com if you want to know how to get there. The Coney Island Waterside is located on deck 10 with the entrance being on deck 12. Its pretty fast which makes it fun even for adults. Located on deck 12 near the funnel, there is a mini golf course. Now this can be a lot of fun on a calm day or while in port but is tough when its windy. Also located on Lido is Movies Under the Stars. A large LED screen will feature movies primarily at night but some during the day. Each night will typically have a theme and they will be first run movies. They will also show major sporting events here as well. 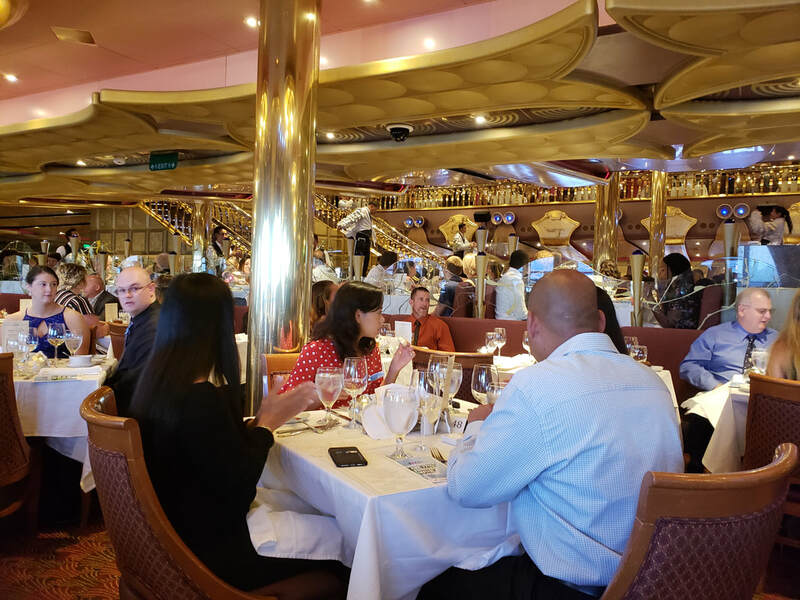 Throughout the promenade deck you are going to find all sorts of entertainment options ranging from the Hot and Cold Night Club for late night dancing to the Victoria Lounge for comedians. 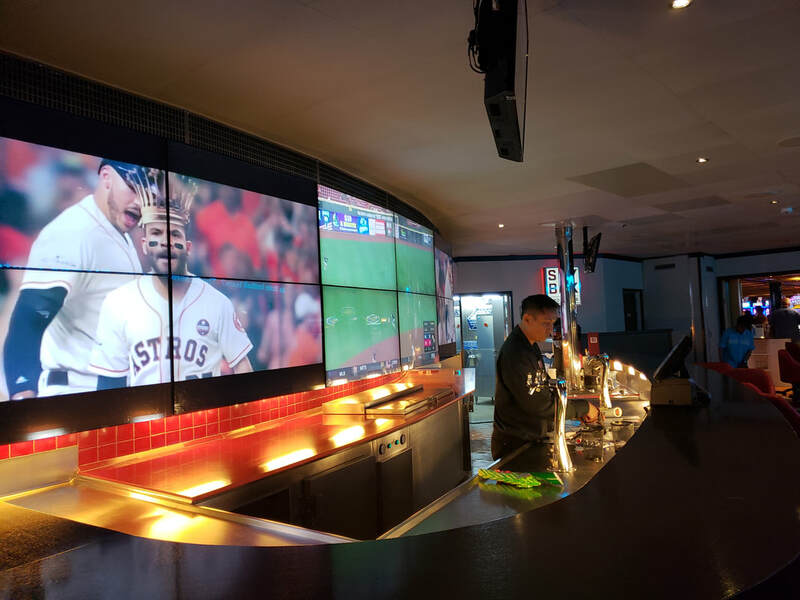 There is also a full casino with slots and table games plus the Skybox Sports bar where you can catch all the games. And of course covering 3 decks is the Venetian Palace Main Show Lounge. Here there will be nightly shows including Epic Rock, the Hasbro Game Show and the Love and Marriage Game show. Here you also will play bingo, see shore and shopping talks during the day. I really like the Conquest class ships from Carnival. I like the size, the layout and amenities. My favorite area on the Carnival Liberty has the be the Aft Pool Area because it tends to be a little quieter than the main pool mid ship. Without comparing to other ships and looking at the ship alone, there is not much I can say I dislike. The only thing I can really thing of is the location of the mini golf course at the funnel. It’s a great view but difficult to play with the wind. 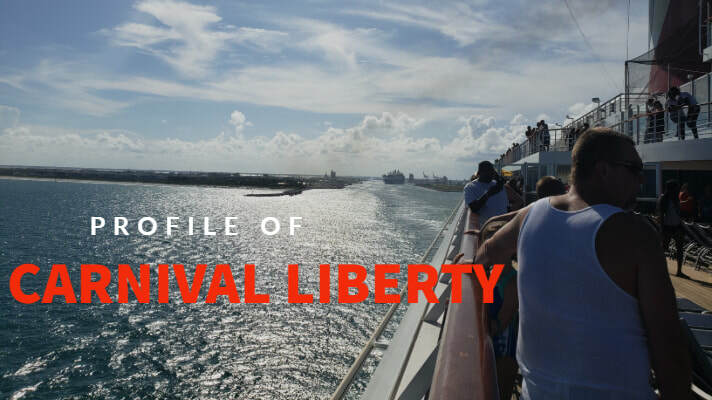 If you would like more information about the Carnival Liberty, email me at mike@freedomtoroamtravel.com or fill out my contact form. This week Carnival Cruise Line announced some exciting news about the brand new ship Mardi Gras. 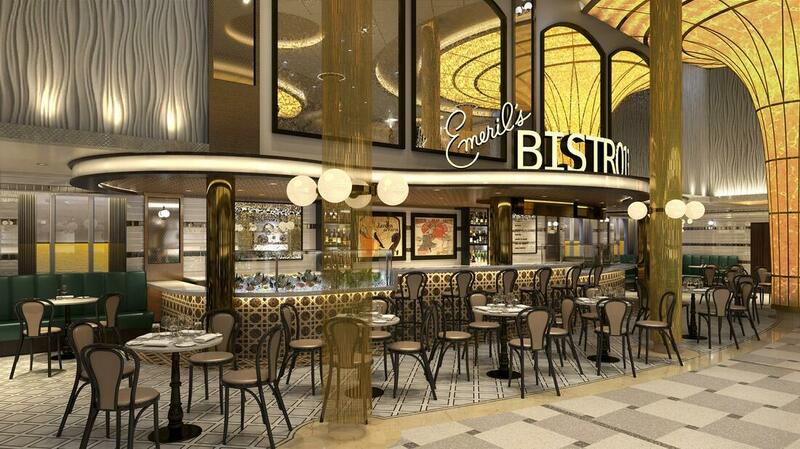 Emeril Lagasse will open his first at sea restaurant called Emeril’s Bistro 1396 located in the French Quarter. The restaurant will feature French and creole cuisine. There will be an al a carte charge but will range about $2 for appetizers and $12 for entrees. This is a far cry from what you would pay at say his location in Orlando. Of course pricing can change as we get closer to sailing. Every month it seems we get more information about the Mardi Gras and people are getting excited. She will debut in Europe in August 2020 and will sail its first Caribbean cruise from Port Canaveral on October 31st. From there, she will sail year round from Port Canaveral and will have a brand new terminal has her home. ​Nassau Bahamas has always been a popular port of call for short cruises and even is included in some long cruises. The proximity to the Florida coast has been its saving grace but in recent months. It has taken a public relations hit due to travel warnings on safety and the overall complaints about the downtown port area. If you are not already aware, there has been a new warning issued by the US State Department regarding safety in Nassau. Robberies and some violent crime has been reported even in tourist areas, but primarily areas like Fish Fry and Over The Hill. But really, there is no reason for cruise passengers or other tourist to visit those areas. 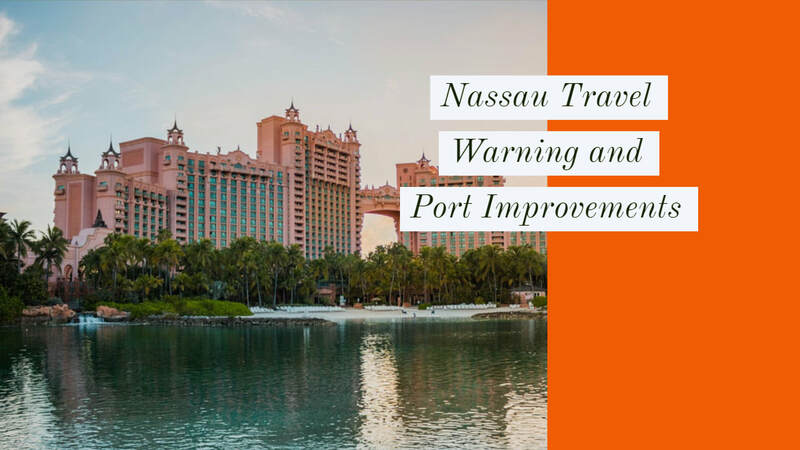 The State Department provided these tips when traveling to Nassau either by cruise ship or flying in. But not to worry, Nassau is in the midst of planning a complete re development of the port. Right now, its not a bad port to visit but complaints have been about run down buildings, pushy locals and uneven sidewalks. The plan is a $250 Million project to make Nassau a great destination. Global Ports Holding is the worlds largest operator of cruise ports and they recently received approval from the Mistry of Tourism in the Bahamas for the project. It will increase the current 6 berths to 8 berths allowing more ships to visit at one time. 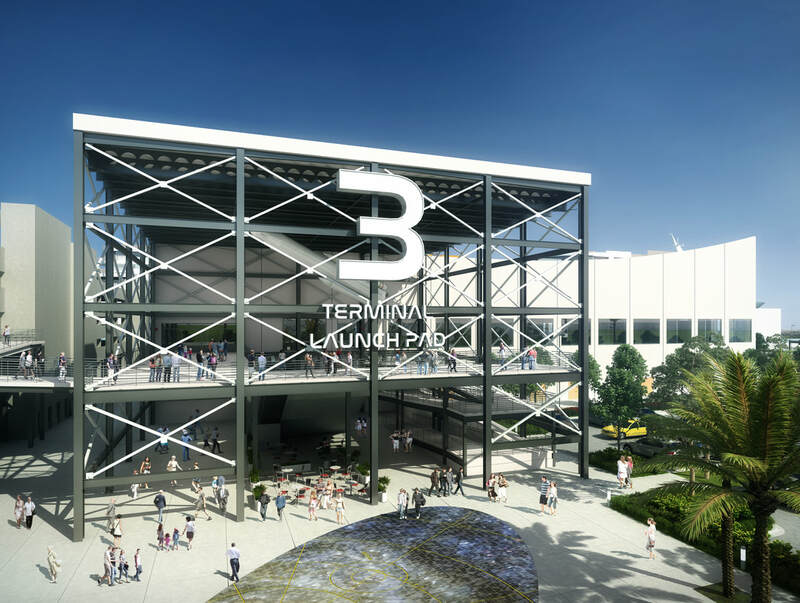 They will also be building a new terminal building, adding event space and bring locally owned shops and restaurants to downtown. I would expect this to be similar to maybe Cozumel where you have entire area at the port loaded with shopping, restaurants, bars, entertainment and transportation options. All without going far from the ship. Although there appears, in my opinion, to be a trend towards building up the port areas enough to provide plenty to do there, I think you would be missing out if you don’t explore away from the port area. Just in places like Nassau, at least for now, don’t wander too far without being on an excursion booked either through the cruise line or a trusted third party. Now don’t get me wrong, there are some great areas in Nassau, like the Atlantis on Paradise Island, Cable Beach. I still say go and enjoy Nassau but take the tips from the state department and these as well. Although this post is about Nassau, the tips are great for any cruise port or destination. Take excursions from the cruise line if possible. Don’t go into alleys or walkways that seem suspicious, especially if they don’t seem to have an exit. There are alleys in the main downtown shopping area that run between Bay Street and the waterfront and those are usually ok.
​One of the most popular shore excursion in Grand Cayman is Stingray City. This is a sandbar located on the west side of the island. Its about a 20 minute ride to the dock by taxi or bus and about a 20 to 30 minute ride by boat out to the sandbar. There you get to get in the water with these amazing animals and if you want feed them and even hold them. I did this excursion in 2017 and it was awesome. I will tell you, make sure you book it a head of time because it fills quick. Shopping is plentiful in Georgetown, where the tender docks. You will find the Caribbean staples like Diamonds International, Del Sol and Sharkeez plus some interesting local shops. Finally, time. Most stops in Grand Cayman are shorter than most ports so be mindful of your time. 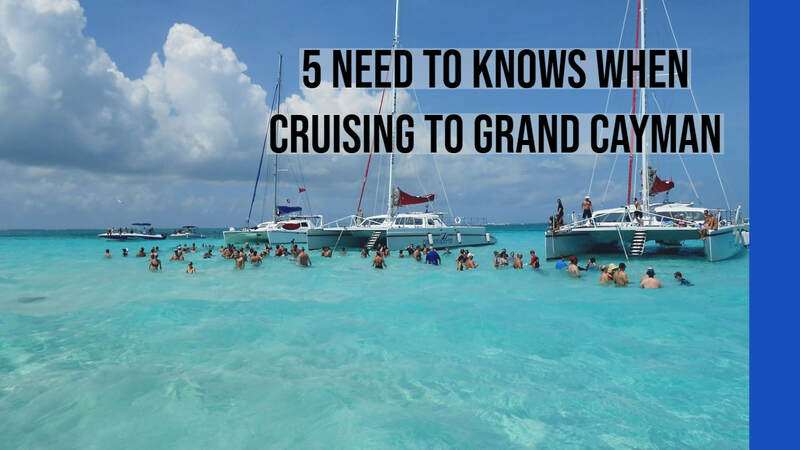 This makes it important that you plan your stop in Grand Cayman so you don't waste a lot of time making decisions. Remember, you have to make the last tender which is usually around an hour before the ship leaves but consult your daily activity sheet. For more information on cruises or fly and stay package to Grand Cayman, be sure to contact me at the number below or email me mike@freedomtoroamtravel.com. ​Back in January I sailed a 5 night cruise on the Carnival Elation. Here are 5 things you need to know about the ship. Unlike most of the Carnival ships, the Serenity Adult Only Deck is located at the back of the ship. It provides a great view of the wake and less windy than when its at the front. On Promenade Deck near the casino, there is a set of stairs that takes you directly to the pool. In the locker rooms at the Spa, there is a complimentary steam room and sauna for your use. There is a secret deck in the front of the ship. You can access this a few ways. Follow the hallway from on deck 11 all the way forward and you will find a door taking you out to the secret deck. It also can be accessed from the gym one deck up. 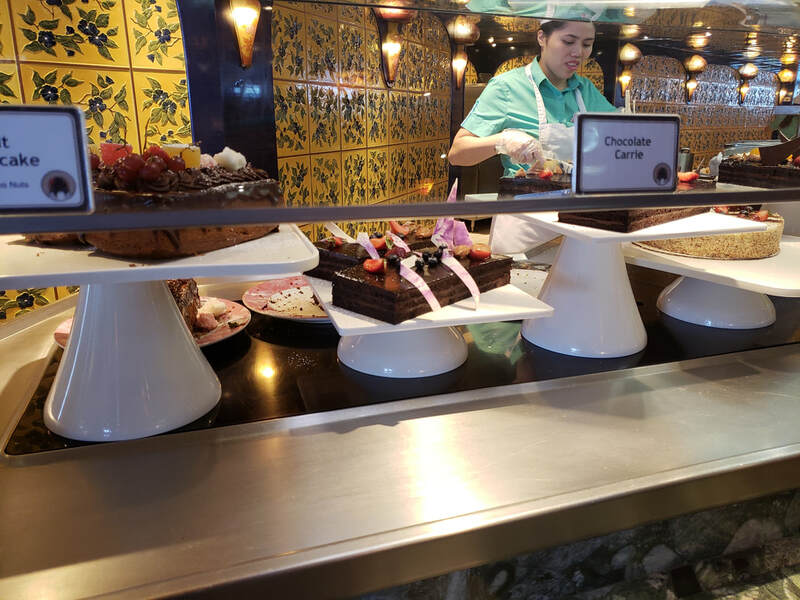 On Lido Deck next to the pool, they will set up a mini breakfast buffet which is very convenient and hardly ever crowded. In addition, they have drink stations there as well offer coffee, tea and juice just about 24 hours a day. ​One of the questions I get is “why don’t you ever take land vacations? The answer is because I love cruising. There are so many reasons so I decided to list my Top Five. The Ocean​ Being out on the ocean can be so peaceful. When you are out there and think how big it is and how small we are, its will set you straight. Food This is probably one of the most talked about topics when it comes to cruising. But for me, its trying different things and the atmosphere. One of my favorite meals is breakfast. Grab a plate of pancakes and eggs, plop down on a chair outside overlooking the ocean and a port and enjoy. Not much better than that. Ports of call.​ You can visit some amazing destinations on a cruise. Alaska, Europe, the Caribbean even Asia. You board the ship, unpack and let the captain do their thing. ​Activities There is so much to do on the ships now a days, its hard to get bored. From water parks to IMAX theaters to planned activities like trivia and shows. You can always find something to do. 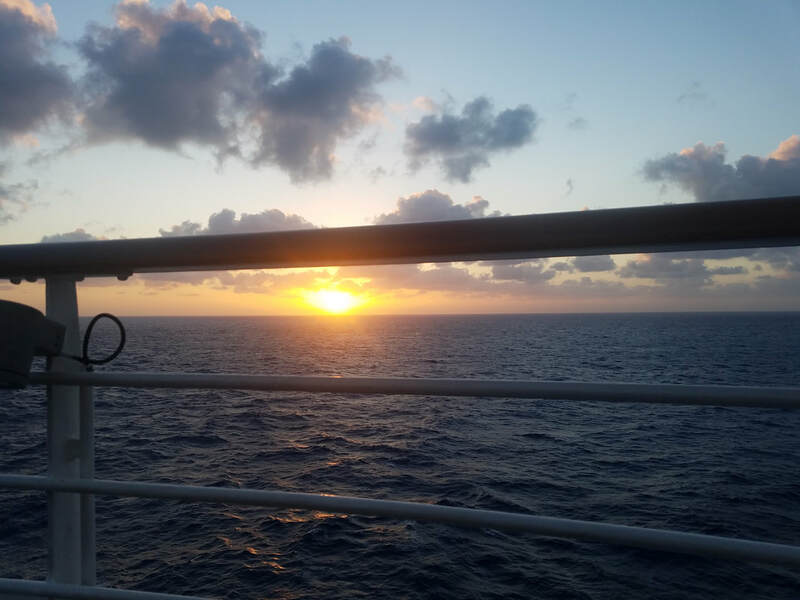 The View​ Whether it be starting the day with a cup of coffee watching the sun come up or relaxing on a deck chair and watching the sunset, it is beautiful. Even just sitting and watching the wake of the ship from the back is peaceful. Every cruise, I take the time to appreciate these views. So if you are considering a cruise vacation, give me a call or drop me a line at the contact information below. Happy Cruising.